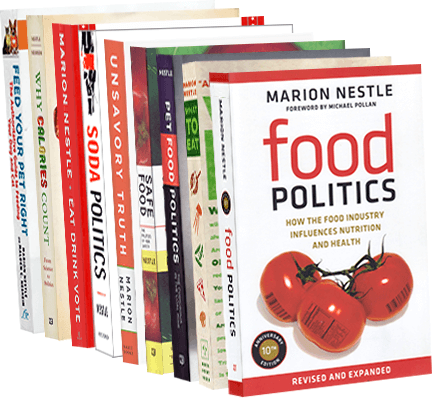 Food Politics by Marion Nestle » Obesity vs. Tobacco: a zero-sum game? Obesity vs. Tobacco: a zero-sum game? Anti-tobacco advocates have been worried for years that concerns about obesity would draw funding away from anti-smoking initiatives (see previous posts). Their fears are justified, as described in today’s New York Times and in a recent editorial in the New England Journal of Medicine. Years of experience have taught anti-smoking advocates that countering the marketing efforts of cigarette companies required constant vigilance. It also taught them that cigarette companies take immediate advantage of any weakening of resistance to their efforts. Cigarettes remain the leading cause of preventable deaths among Americans. Cigarette marketing aimed at children remains a national—and international—public health scandal. Health should not be a zero-sum game. Anti-obesity advocates have much to learn from anti-smoking advocates. How about joining forces to improve the health of Americans? U.S. Government Food Posters on exhibit! Online!